Step off your cruise ship in Ketchikan and enjoy easygoing exercise on this 3-hour Seacycle shore excursion. Pedal along the waters of Ward Cove on a ‘water bike’ that holds up to four people. An Alaska-loving guide takes a small group limited to 12 people into the bay off the Tongass Narrows and provides tips for spotting eagles, seals and otters. Take in the tranquil scenery and learn about the surrounding natural history before finishing your outing with a picnic feast. 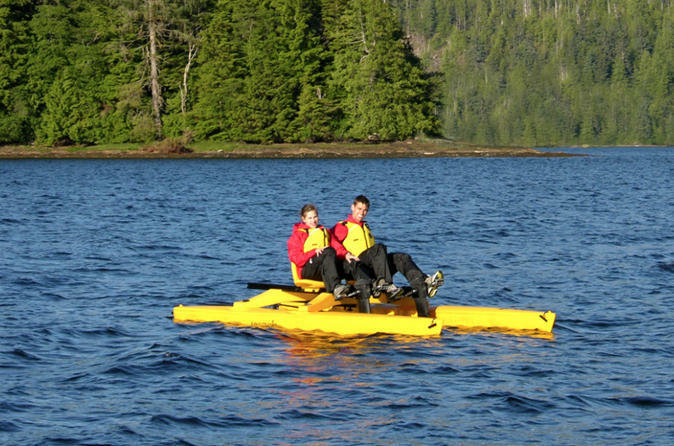 These easy-to-use Seacycles and the calm water make this a relaxing Alaskan adventure for the whole family.